Devoted to living a healthy lifestyle, I've come to appreciate the importance of a well-balanced breakfast. Studies show that the right breakfast can help you maintain a healthy weight, improve concentration and provide you with extra endurance to get through the day. 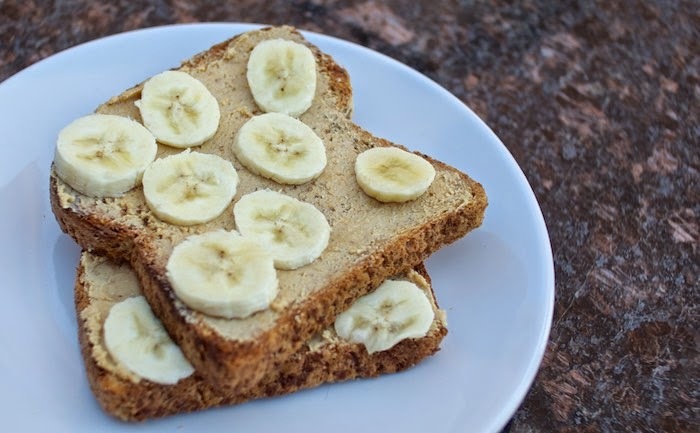 One of my favorite breakfast options is whole wheat toast with cashew butter & sliced banana. It's perfect for those mornings when I need something quick before heading out the door. What makes this an easy option is my new Hamilton Beach Modern Chrome 4 Slice Toaster. Previous toasters have left me waiting for nearly 10 minutes for a piece of barely browned toast. The Hamilton Beach 4 slice toaster gives me perfectly toasted bread in mere 2-3 minutes. If bagels are your thing this toaster also has extra wide slots and an option for toasting only one side. I like smoothies or breakfast bars. I like smoothies for on the go breakfast! I do a lot of buttered toast, smoothies and yogurt for breakfast. I like smoothies on the go. Oatmeal and quinoa flakes with a big scoop of PB! I like eggs, preferably with bacon, in a sandwich or taco or burrito is pretty quick. I like greek yogurt with granola and fresh fruit. I like oatmeal or Greek yogurt for breakfast! Love cashew butter and the toaster looks terrific! usually smoothies or toast with nut butter! Since going paleo, my new favorite breakfast option is sauteed spinach with 2 cracked eggs inside and a banana! I love cashew butter! Such a great way to start the morning. I usually grab a granola bar, but I have to admit, it doesn't really do the trick! I love smoothies or cereal with chia seeds for breakfast, toast with cashew butter sounds good too! That looks like the perfect breakfast! And I've heard really good things about those toasters. I'm not all that good about eating breakfast. I'm not usually hungry so it's hard for me to eat just because it's morning. That said, this toast with cashew butter and banana looks like a winner.